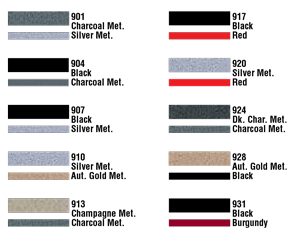 Simple - striping for the professional - is a brand new line of pinstripes from Restylers' Choice. Featuring a simple business model, with simple pricing, simple selections, and a simple warranty! There is simply nothing more simple than Simple. So Simple a Caveman Could Use It! We kept it simple offering only the sizes you REALLY need. Our single color striping is available in 3/16, 4/16, 5/16 and 8/16. Our double color offerings are in 3/16, 4/16, and 8/16. Need something different? We offer the complete line of Universal Products to complement our Simple program. Keep with the simple theme, we narrowed our color selection down to the most popular colors. 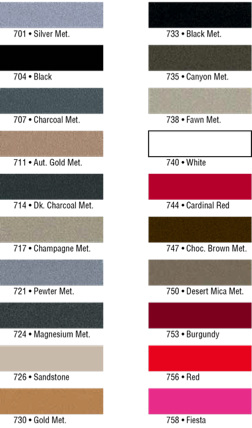 This means we offer the top 20 single colors, and the top 10 double color combinations. With Simple you need not worry whether it is opaque, or metallic, or what size it is. All colors of 3/16, 4/16, and 5/16 are one price. 8/16 is priced slightly higher. And the same model holds true in double colors. All of which are only $1 more than their single color brothers! Call for your prices today! We kept it simple again - if we sold it to you we stand behind it. All Simple striping comes with our Exclusive Lifetime Warranty! Nothing more to say.